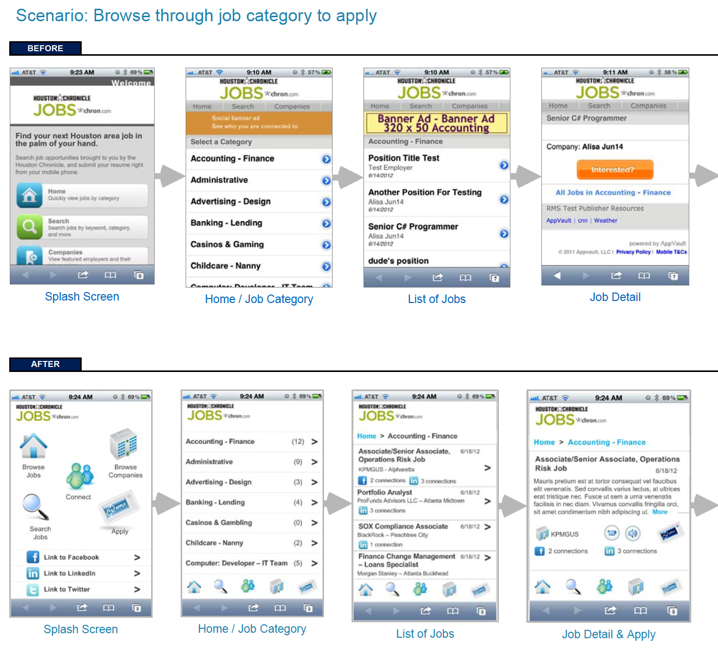 This firm develops apps to support newspaper and online job applications. I performed an heuristic evaluation of their as-is application, and made recommendations for mobile conventions, a more streamlined application process, and better readability. Project samples available upon request.